Last week, the buzz was that the much talked about Amazon-Future group deal had fallen through. Now, yet another of the ecommerce giant's proposed investments could be in trouble. The revised ecommerce FDI policy, which neither allows the likes of Amazon and Flipkart to own inventory and build brands nor promote businesses in which they have a stake, has brought the US etailer's September 2018 deal to acquire the Aditya Birla Group-owned 'More' retail chain along with private equity firm Samara Capital under the Competition Commission of India's (CCI) scanner. 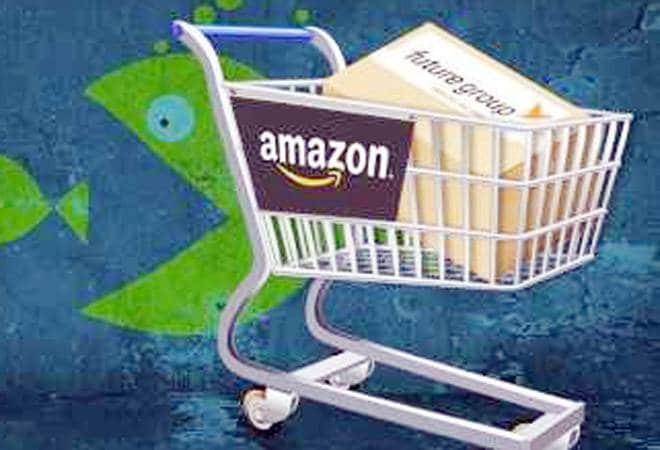 Two senior industry executives told The Economic Times that the CCI last month sought details from Samara Capital on the role of Amazon, including whether the etailer will be involved in day-to-day operations of More, its representation on the board and whether More will be integrated into the Amazon India marketplace. Furthermore, Samara Capital-owned Witzig Advisory Services was asked in late December to justify how the deal structure is going to comply with the revised FDI norms issued by the Department of Industrial Policy and Promotion (DIPP) on December 26 and expected to come into effect from February 2019. The sources added that Witzig is yet to respond to the competition watchdog. Last September, the homegrown mid-market India focussed private equity fund had teamed up with Amazon to form Witzig to buy More at an enterprise valuation of around Rs 4,200 crore. Subsequently, Witzig filed an application with the CCI for clearance stating that Amazon.com NV Investment Holdings LLC will acquire 49% in Witzig while the remaining 51% will be held by Samara. It had added that Witzig will be majority-owned and controlled by Samara. With the CCI yet to give the green signal, Amazon is waiting to acquire the proposed stake. Two clauses in the new e-commerce FDI policy raise concerns about the viability of the More deal. As per the new norms, "ecommerce entity providing a marketplace will not exercise ownership or control over the inventory". Such ownership or control over the inventory will render the business into inventory-based model, which does not permit FDI. The norms further specify that any entity having equity participation by an ecommerce marketplace entity (or its group companies) will not be permitted to sell its products on the platform run by the latter. According to the executives, given that the investment in Witzig to acquire More will be made by an Amazon group company, the retail chain now cannot be integrated with the Amazon.in marketplace as a seller. As India's fourth-largest supermarket chain with 580 supermarkets across the country - especially concentrated in the southern states of Karnataka, Andhra Pradesh and Telangana - More was well poised to strengthen Amazon's food and grocery business presence. But the new FDI norms may make it difficult for Amazon to follow through on these plans and use More as a seller on Amazon Prime Now, the etailer's hyperlocal food and grocery platform. "In the current circumstances, the CCI's queries in the backdrop of the revised policy is against Amazon's original game plan to acquire the More chain," a source told the daily, adding that while Amazon had already decided to keep a distance from the board and management team of More - hence it also did not want a majority holding in Witzig - its plans to strengthen Amazon Prime Now with the acquisition would take a hit. However, the buzz is that the More deal can still go through if Amazon decides to undertake the acquisition purely as a financial investment since the More chain is being sold at a lucrative valuation. But, More may not be able to sell through Amazon.in to make it compliant with the revised norms," said another executive. Meanwhile, leading American industry advocacy groups have flagged off that the new policy restrictions could have a long-term negative impact on FDI as well as consumers. "We urge the government to delay implementation and allow time for comment before the policy goes into effect," said Nisha Desai Biswal, president of US India Chambers of Commerce (USAIC), a wing of the US Chambers of Commerce after the revised norms were announced, adding that the February 1 deadline was too rushed and did not allow sufficient time for companies to analyse the policy and comply.